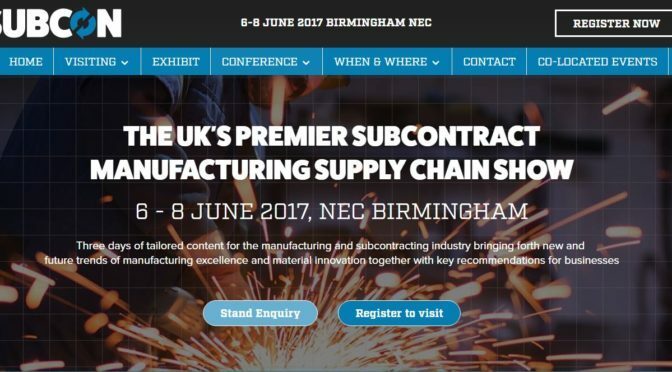 We are happy to announce that we will be exhibiting at the Subcon Exhibition again this year form the 6th – 8th June on stand E61. We will be there showcasing a selection of die castings we currently manufacture. It is a fantastic opportunity to meet some of our team and discuss any die casting questions or requirements you might have. More information on the show can be seen on the Subcon website: www.subconshow.co.uk where you can also pre-register for free. Alternatively please visit our home page: www.carltondie.com for more information on how we can help with your die casting requirements.